Franchise Law Melbourne, FL - Trademark and IP Attorneys | Gross Law Group, P.A. Franchising is a complex area of law that involves many different aspects of intellectual property law. At Gross Law Group, P.A., we have experience in cases involving franchise startups, negotiations, disputes, and litigation — we work with business owners throughout Melbourne, Florida as well as other cities in the area. Franchising is the process through which a business owner who has created a system of doing business and a brand (the Franchisor) can license this brand as a way of doing business to others (Franchisees). A famous example is McDonalds: The brand owner, corporate, is the Franchisor and the owners of each independently owned store are called Franchisees. This type of business arrangement is intended to be a profitable partnership for all involved. The Franchisor shares its years of experience, sources, methods, trademarks, patents and other valuable assets with the Franchisee in exchange for an Initial Franchise Fee (paid when the Franchisee signs up) and an ongoing Royalty Fee (paid based on the total sales made by the Franchisee). The Franchisee gets to jump ahead of all of the years of design, development, trials and errors which are generally part of any new business start up. The Franchisee, by partnering with an experienced Franchisor, is often able to build a successful business faster and with less risk because they do not have to learn everything about their business from scratch; they’ve essentially rented the years of experience and knowledge of the Franchisor. Each party generally addresses their concerns in the Franchise Agreement which will often spell out very specific requirements as to how the Franchisee must perform its services, or which goods it may offer and at what prices. The Franchise Agreement will also usually require that the Franchisor perform certain tasks to support the Franchisees. We handle the process of helping business owners franchise their concepts and we also represent franchisees who are planning to purchase a franchise. Because the agreements are complex and each side has a lot at stake, sometimes disputes arise between franchisors and franchisees. 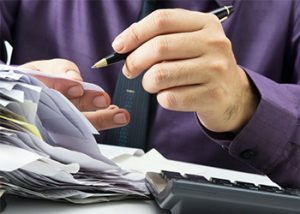 We have experience resolving these disputes and managing litigation when necessary. If you have a franchise dispute, contact us. Are you interested in turning your business concept into a franchise system? Taking your successful business model and offering it to others through the franchise process is often an excellent way to grow your brand, increase your market penetration while earning royalties and franchise fees along the way. It is often a great way to take a strong local or regional brand to the national level. The process of developing and selling a Franchise Offering is highly regulated. In addition to various state regulations, the Federal Trade Commission has specific guidelines that must be met to ensure that you comply with the law before you can offer your franchise to buyers. These requirements include, among others, that you provide a Franchise Disclosure Document (FDD) to each prospective franchisee at least 14 days prior to allowing them to sign a binding Franchise Agreement. The contents of the FDD are further regulated by the FTC and states which dictate what must be included. Additionally, several states require specific filings to be made with the state and some require certain approvals before you may lawfully offer a franchise for sale in that state. The process of drafting required documents and filing required paperwork with various states can take months so it is best to get started early if you have a specific time goal in mind. If you’re ready to franchise your business, contact us. Allow us to ensure that your franchise agreement is legal and that all documentation is properly drafted. Franchising your own business is exciting and important landmark in your professional career. Don’t let this important accomplishment cause you legal anxiety — allow us to handle the legal matters so you can enjoy the fruits of your labor! We offer reasonable rates for new Franchisors on initial Franchise Disclosure Document (FDD) and Franchise Agreement (FA) drafting to fit the needs and objectives of your business model. Are you thinking of buying a franchise business, becoming a franchisee or joining a franchise system? Becoming a Franchisee can be an intimidating process. 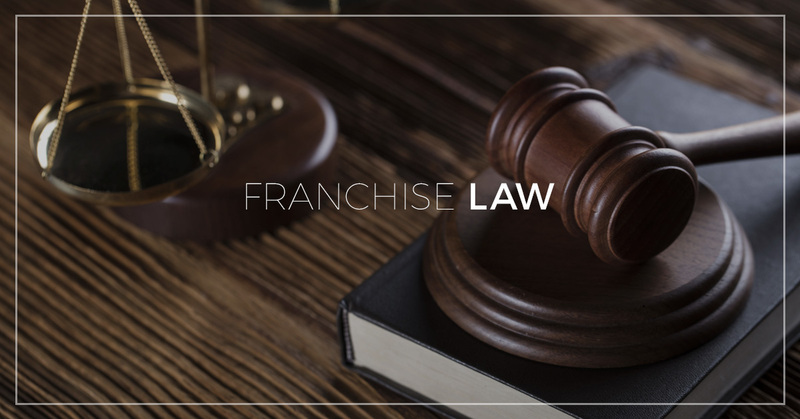 The Federal Trade Commission requires Franchisors to provide extensive documentation to prospective franchise buyers to ensure that they understand the risks and costs of joining the franchise system. Reviewing these documents, which are often hundreds of pages in length, can be a time consuming and discouraging task. The nature of the disclosure documents is to highlight risks associated with the franchise system and, as a result, the disclosure can seem very negative. It is important to seek the advice of an experienced franchise lawyer who can review the documents with you and let you know what risks you should be most aware of. Signing up as a franchisee will involve substantial monetary investment and often requires a commitment of 10 years or more. To be certain that you are protected in such an critical transaction, there is no substitution for a good franchise attorney. Before you sign anything other than a FDD Receipt, contact us. Franchising is a complex area of law that involves many different aspects of intellectual property law. At Gross Law Group, P.A., we have experience in cases involving trademark law, intellectual property law, and franchise law. Whether you need assistance with trademark and copyright law and claims, intellectual property licensing, help navigating the purchase of a franchise, or any related topics, we are here to serve your specific needs and aid you in your case. The world of trademarks is highly competitive and requires deep knowledge of the legal obligations and requirements of trademarking and copyrighting. If you’re interested in getting a trademark or copyright for a product you’ve created, we can assist you in drafting the appropriate legal documentation to ensure that your product is protected from copyright infringement. If you need help filing a legal claim or suit against an individual or company that has infringed on copyright of your product, we provide litigation to help you through the process. From copyright registration to trademark infringement litigation, we can assist you with all of your legal copyright and trademark needs. If you or your company need assistance with an intellectual property suit, trust our trademark attorneys to use their experience and profound legal knowledge to make your case strong. Resolving intellectual property disputes requires plenty of background knowledge about the companies involved as well as a wealth of legal knowledge regarding intellectual property. When you work with Gross Law Group, P.A., you are working with caring and knowledgeable attorneys — contact us today if you need help building a case regarding intellectual property, franchises, copyrights, or trademarks, and you work here in Melbourne, Florida or the surrounding region.